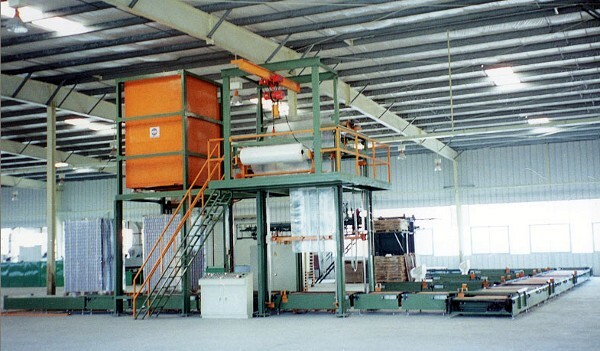 Shrink packing for cans, glass bottles, using rolls of wrapping materials of PE shrink film and design with power-saving oven that can move up and down. Equipped with clipper by hands for four corners to complete cut-sealing, producing and packing process automatically. Standard equipment includes 5 sets of chain conveyors and 2 sets of powerless roller conveyors and via auto control system to link its full line process.